Alife has one of the most commendable sneaker offerings on the mark this season. Their booth was focused on kicks this year at Project. 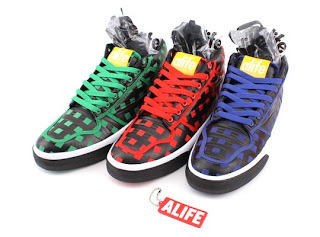 Among the shelves were the Everyone Mid Parachute Nylon Pack offering three colorways: green checker, red checker and blue checker set off by a yellow Alife tag on the tongue.